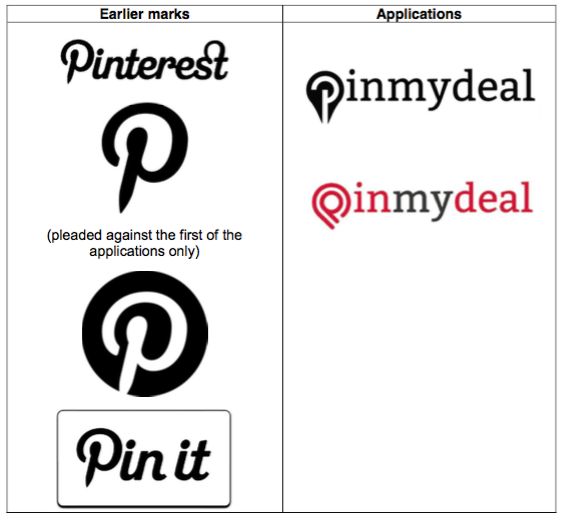 The pin may have finally dropped on trademark cases that Pinterest has been chasing in the U.S. and UK. In the U.S., a judge has ruled in favor of a travel startup called Pintrips, in a case where Pinterest was trying to get the startup to cease use of the terms “pin” and “pinning.” Meanwhile, in the UK, location-based mobile directory Free118 won a fight against Pinterest for the right to use the phrase “pinmydeal” for one of the central actions of its service. Both court decisions are embedded below this post. But although it has had setbacks in these two cases, Pinterest has not ceased fighting others. The U.S. company is still in the middle of a case in Europe over a region-wide trademark on the word “pin”. However, some believe trademark decisions against Pinterest are likely to put an increasing amount of holes in Pinterest’s arguments. Pinterest has declined to comment on the Free118 case in the UK, but from what we understand there are no plans to appeal the decision reached by the Trademark Office (the deadline for doing so is at the start of November). In the case in the U.S. it sounds like Pinterest is unlikely to appeal but it sounds like it believes that such a case is unlikely to come up again now. Together, the two cases can be seen as a victory for companies that have used or would like to use variations on the word “pin,” but have more recently faced legal pressure from Pinterest when doing so because the social network believes that it causes too much confusion with consumers between its own company and others. Misappropriation of its name has over the years been a thorny issue for Pinterest, where it has actively discouraged companies who work with it from using names that can be seen as variations of its own. “If you’re creating an app, website or other service designed to be used with Pinterest, give it a distinctive name,” Pinterest writes in its brand guidelines. It’s fine to say the product is for use with Pinterest as long as you pick a distinct brand for your product. Don’t use ‘pin’ or ‘Pinterest’ in the name. Don’t register a domain name containing ‘pin,’ ‘pinterest’ or any misspellings, transliterations or similar variations on Pinterest.” Easier said to partners than completely separate businesses, it seems. The case in the U.S. puts to rest a years-long battle against Pintrips and its use of the word “pin” in its business as well as in a core feature of its service, a button that invited users to “pin” an event or place to their itineraries. Pinterest was arguing that Pintrips infringed on its trademark rights over use of the term. In this case, decided in the U.S. District Court for the Northern District of California, the court took a decision similar to that in the UK, determining that pinning was too generic an action to be trademarked and protected for the use of Pinterest alone. “Pinterest cannot prohibit other companies from using the word pin to describe that well-known operation, which is exactly how the evidence demonstrates that Pintrips uses the word pin here,” the court wrote in the U.S. decision. While both cases were lodged against startups that are tiny compared to Pinterest, they are interesting when considering what Pinterest may hope to achieve with its wider ambitions to create trademarks around its name. In Europe, Kevin Parnham, the patent and trademark attorney who represented Free118, says that some organizations in Germany have opposed Pinterest’s EU-wide “PIN” application and currently the parties are in a cooling-off period, which sometimes leads to a settlement negotiation. “It is possible the [opposing parties] will be paid off so Pinterest will end up with a CTM (European) registered trade mark for ‘pin’,” Parnham notes. Pinterest had no comment about the ongoing case in Europe.